One of the biggest telecommunication companies in the UK faced difficulties in streamlining and automating ticketing processes to IT departments and organizing the project management of requirements’ implementation. Another challenge was the unification of all third-party systems, which included 5 different ticketing software, many excel sheets, external reporting tools. It is important to mention that each department had the freedom to select and adhere to its own software, so the company had ended up with hundreds of software performing the same operations. Design / assign the workflows with secure team or user access rights. 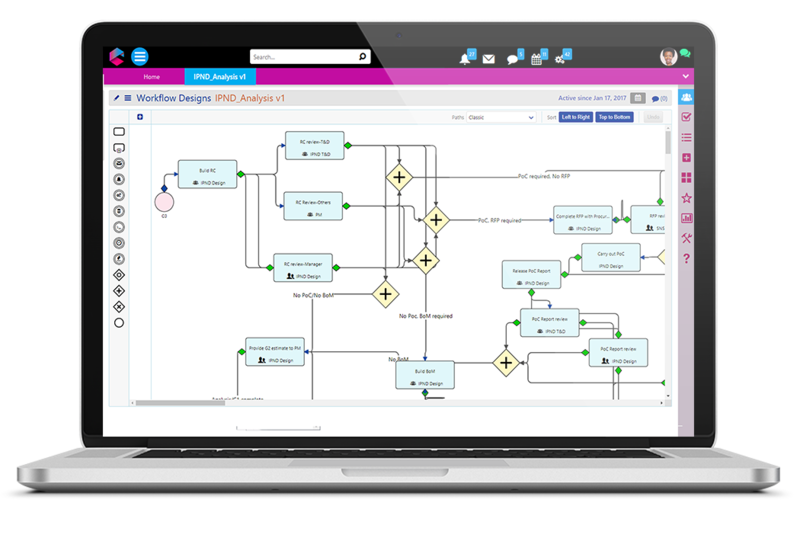 After consecutive interviews with a number of key users and teams, processes were designed using the workflow designer. Due to the complexity of business rules and flow conditions, almost all workflow facilities (from gateways to automated emails and events) were used. Comidor’ s agile organizational chart helped in many cases where virtual groups of users belonging to different departments were assigned requirements and had to collaborate in the scope of a particular project. Project requirements, deliverables, and schedule were well represented and real-time view of all active projects, give managers the option to know at any time, in which phase the Project is, which tasks have been performed and from whom. Comidor’s built-in risk management system automated RAG status change based on the project manager’s rules. Tickets, emails, files and financial data are gathered from more than 5 different systems using REST / SOAP web services and direct database views. All information is integrated into one single view, providing the whole picture to users, who need to resolve issues or develop new services. More than 10 project types were represented either as strictly defined processes using business rules to lead the flow of tasks or as unstructured processes using agile team organization with Kanban, instant messaging and team meetings System has reduced operations complexity and costs, as users are able to resolve issues or develop new services faster.